37.5 x 28.2 cm., 14 ? x 11 in. Jutsum was born in London and having gone to school in Devon, he returned to London where he began to sketch in Kensington Gardens. 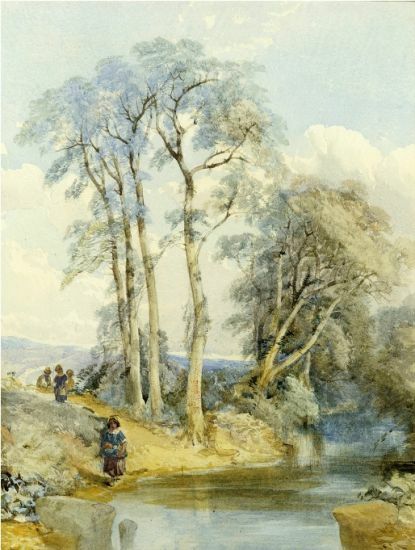 In 1839, he took lessons from the Norwich School artist James Stark. Through Stark, Jutsum absorbed the influence of Norwich School artists such as his friend Henry Bright and John Middleton.